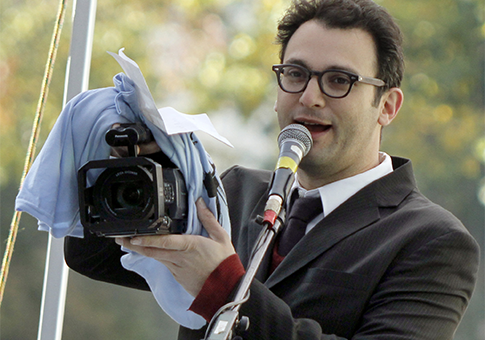 Gasland Part II, the new documentary by environmental activist Josh Fox, premiered on HBO Monday night. The film, a sequel to Fox’s Oscar-nominated 2010 film Gasland, has drawn significant attention to the supposed dangers of the oil and gas extraction technique hydraulic fracturing, also known as fracking. Many of its claims rely on faulty data, mischaracterizations, or outright falsehoods. Four of those claims, made in his new film and repeated elsewhere, stand out. "I am not aware of any proven case where the fracking process itself affected water," EPA administrator and environmental stalwart Lisa Jackson told Congress in 2011. 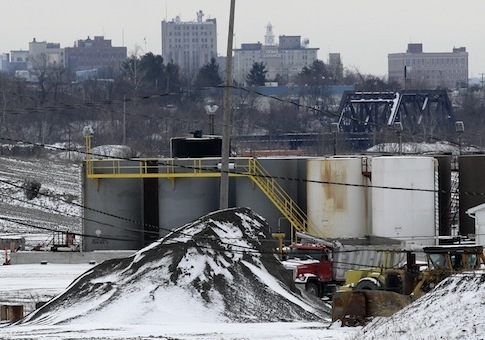 A year later, she reiterated, "In no case have we made a definitive determination that the fracking process has caused chemicals to enter groundwater." However, Fox is convinced Jackson is mistaken. His new film presents a handful of landowners with contaminated water as victims of the oil and gas industry. The first Gasland made similar claims. 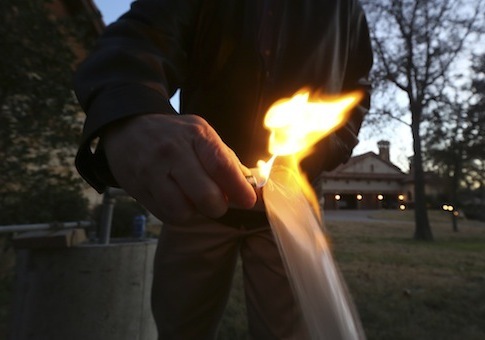 Fox trumpeted flaming water taps in a Colorado town as evidence of fracking-induced water contamination, when in fact the areas in question had reported methane in its water for decades. The presence of naturally occurring methane in the water supplies of areas with gas extraction operations is to be expected, according to the environmental and water resource consultancy S.S. Papadopulos & Associates (SSPA). "The existence of a background methane component in Pavillion groundwater is not surprising given the location of the investigation over a structural high in an area known to have shallow gas deposits," SSPA found in a study on the presence of methane in Pavillion, Wyo., one town on which Fox focuses. 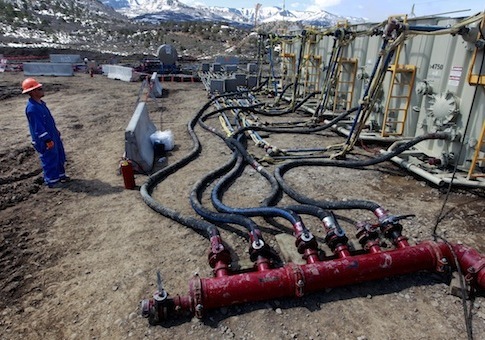 SSPA’s full report highlights numerous faults in an Environmental Protection Agency (EPA) study that suggested that water contamination was the result of nearby hydraulic fracturing operations. SSPA concluded those faults "may compromise [EPA’s] stated conclusions." However, Fox cites the study to portray water contamination in Pavillion as indisputably the result of hydraulic fracturing in the area. "In reality, several hypotheses for the presence of methane in the water supply wells arise from these associations," SSPA noted. "None of these scenarios is adequately addressed in [EPA’s] Draft Report, however." Other government regulators, including officials at the Bureau of Land Management and the Wyoming Department of Environmental Quality, also expressed skepticism about the EPA’s methods and findings. The agency announced last month that they would drop the study, and turn it over to Wyoming environmental regulators. The decision was widely seen as a victory for those who insist that hydraulic fracturing is safe. Even President Barack Obama has acknowledged that natural gas is a useful means to reduce U.S. carbon emissions, since it often displaces the use of carbon-intensive coal. Environmentalists have attempted to counter that fact by insisting that methane emissions associated with natural gas extraction offset any emissions reductions associated with its use in electricity generation. They support that claim with a single 2011 study, authored by Cornell University professors Anthony Ingraffea and Robert Howarth. The study claims that life cycle emissions for power generated from natural gas are two to five times higher than prior studies estimated, due primarily to methane emissions at the site of extraction. Gasland Part II heavily promotes the study. Both of its authors are interviewed in the film. The study was widely criticized by others in the scientific community. Howarth and Ingraffea’s "analysis is seriously flawed in that they significantly overestimate the fugitive emissions associated with unconventional gas extraction," wrote Cornell earth and atmospheric sciences professor Lawrence Cathles. A major mistake in the study, critics said, was its assumption that all methane emitted from gas wells at hydraulic fracturing sites is released into the atmosphere. That is not the case, experts say. As senior fellow for energy and environment at the Council on Foreign Relations Michael Levi noted, an Energy Department examination found that a large portion of that methane is put to productive uses, not simply allowed to seep into the air. "As [DOE’s National Energy Technology Laboratory] explains … 62 percent of that gas isn’t lost at all – it’s ‘used to power equipment,’" Levi wrote. "There’s still much useful work to be done, but for now, the NETL work is a far more useful guide for thinking through the gas emissions issue," he concluded. A study conducted by ICF International for the New York City Mayor’s Office of Long-Term Planning and Sustainability reached a similar conclusion. It incorporated NETL’s life cycle emissions estimates, not Howarth’s and Ingraffea’s, noting that the latter are outliers. 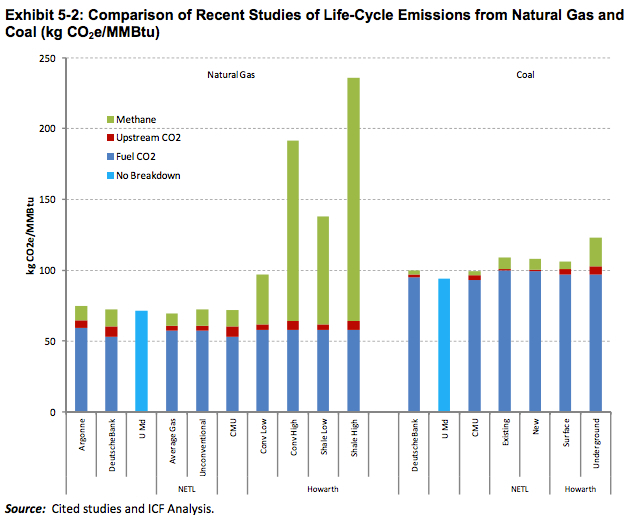 "All of the studies except the Howarth study show [that] total life-cycle emissions for natural gas delivered to consumers" are significantly lower, the study explained. It included a chart to visualize the discrepancies between Howarth and Infraffea’s examination and other studies on emissions associated with natural gas extraction and power generation. "The assumption in the Howarth Study that there is no mitigation of completion emissions is another primary source of the difference between that study and the other studies and also seems to indicate an overestimate of methane emissions," ICF concluded. In one of the newer attacks on hydraulic fracturing, Fox attempts to draw a link between the practice and seismic activity. "There is a clear link between earthquakes and fracking," as he said last year. The U.S. Geological Survey (USGS) disagrees. "We find no evidence that fracking is related to the occurrence of earthquakes that people are feeling," said USGS seismologist Bill Ellsworth after releasing a study on the issue. Environmentalists trumpeted the study as evidence that hydraulic fracturing does indeed cause seismic events, but Ellsworth said he and his colleagues "think that it’s more intimately connected to the wastewater disposal." Ellsworth later said that he was "‘greatly surprised to see how words were being used in the press in ways that were inappropriate. 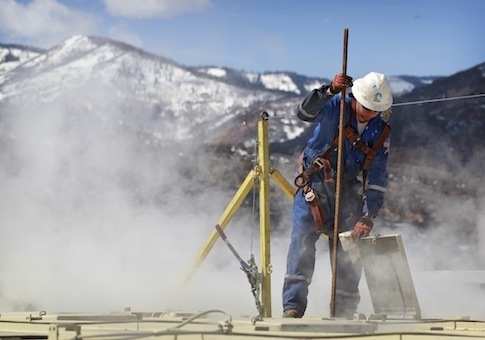 … We don’t see any connection between fracking and earthquakes of any concern to society." Asked on CNBC about one characterization of the USGS study as an indictment of hydraulic fracturing, Ellsworth said flatly, "It is incorrect." "What we’ve found is there is a link between disposal of waste water and earthquakes," he explained. "And in many of these cases, it’s been fixed by either shutting down the offending well or reducing the volume that’s being produced. So there are really straight-forward fixes to the problem when earthquakes begin to occur." Gas companies take precautions to prevent chemicals used in the hydraulic fracturing process from seeping into groundwater. Fox claims those measures are wholly inadequate, and often fail to prevent chemical migration. "The gas industry is fully aware that their wells are failing. They did the science themselves," Fox said on "The Daily Show" in June, comparing the gas industry to the tobacco industry for supposedly ignoring their own scientific analyses. "The Society of Petroleum Engineers says 35 percent of the wells in the world are leaking right now," Fox claimed. SPE insists that they never made such a statement. "Neither SPE, nor anyone representing SPE, has ever made the claim that 35 percent of the world’s (oil and gas) wells are leaking. We have no basis for making such a determination," an SPE spokeswoman told a Daily Kos diarist last week. Fox’s new film nonetheless insists that well casings—the cement apparatus that aim to prevent chemicals from seeping out of the well—are constantly failing. He cites troubling statistics to support his case. According to Fox, 60 percent of natural gas well casings fail over the first 30 years of their operation. The statistic comes from a 2003 article in Oilfield Review, which displays the failure rate in chart form. Fox shows the chart in his new film. However, the chart makes clear that the data "show the percentage of wells with SCP [sustained casing pressure] for wells in the outer continental shelf (OCS) area of the Gulf of Mexico. … These data do not include wells in state waters or land locations." Hydraulic fracturing is an onshore oil and gas extraction technique, meaning the data do not measure casing failures for wells that actually use the technique, as Fox claims. Studies that did measure the effectiveness of the safety precautions taken by onshore drilling operations that use hydraulic fracturing have found them to be very effective. The Ground Water Protection Council (GWPC) examined the prevalence of "oilfield-related groundwater contamination incidents" involving oil and gas wells in a 2011 study. It reviewed data on 33,000 wells drilled in Ohio and more than 187,000 drilled in Texas. The study found that "well construction issues" accounted for only 12 incidents in Ohio and only two in Texas. This entry was posted in Politics and tagged Climate Change, Federal Bureaucracy, Fracking, Natural Gas, Obama Administration, Obama Economy, Progressive Movement. Bookmark the permalink.